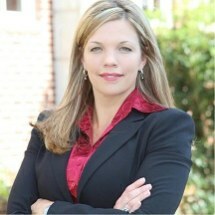 Personal Injury Attorney Stefanie Drake Burford founded our Cedartown law firm, The Stefanie Drake Burford Law Group, after deciding to devote her legal career to protecting the rights of innocent victims. At our Georgia firm, we proudly provide legal representation to victims and their families as they pursue compensation for injuries and losses that are the result of the negligence of others. In addition, Ms. Burford, an avid motorcyclist and proud part of the biker community for more than fifteen years, also regularly represents victims of motorcycle accidents. Because she is a rider, she can identify with the terror such accidents can inflict and the damages, both physical and emotional, that can result from motorcycle wrecks. If you or a loved one suffered an injury at the hands of another's negligent act, you can put your trust in The Stefanie Drake Burford Law Group. Ms. Burford will personally take the time to ensure you understand what to expect from the legal process, and will act as your guide and support until the resolution of your case. Each client also has a dedicated case manager. To ensure our law firm's services are available to all, we offer free initial consultations by telephone at 1-844-STEF-LAW or at our Cedartown law office to all prospective clients. We will also come to you, and are available to meet at other locations throughout Georgia. They did a great job, were very professional and I would recommend them to anyone and if needed, I will definitely use them again.